Need a car tomorrow, gonna borrow something from CCC. 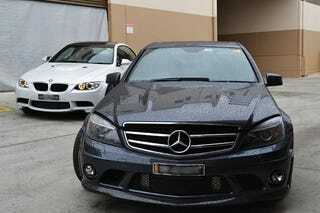 E93 M3 and C63 AMG are both available. Which seat should I take? I’ve driven a bunch of different E9x M3s so I’m kind of leaning towards to Benz simply to get a new experience. What do ya’ll think?